All the wear, all the coverage, without the weight. Laura’s longest wearing foundation of flawless full coverage and 15 hours of wear fused into one weightless formula. High-performance wear that’s sweat, humidity, water and transfer resistant. Colour stays true all day and won’t oxidize. Coated pigments glide on to create buildable medium to full colour that beautifully evens out skin tone and minimizes the look of pores and imperfections. Controls oil immediately and throughout the day. Matte finish is never dull, flat or cakey. Weightless texture looks, fits and feels like a second skin. Skin-fusion technology provides ultimate longwear with comfortable, breathable ease. Medium to Full weightless coverage. Matte finish. Ideal for all skin types, especially normal to oily. Formulation Details Oil free. Fragrance-free. Non-comedogenic. Dermatologist-tested. How to Use: Dispense a small amount onto the back of your hand and apply to face with Laura’s Egg-Shaped Sponge or fingertips. 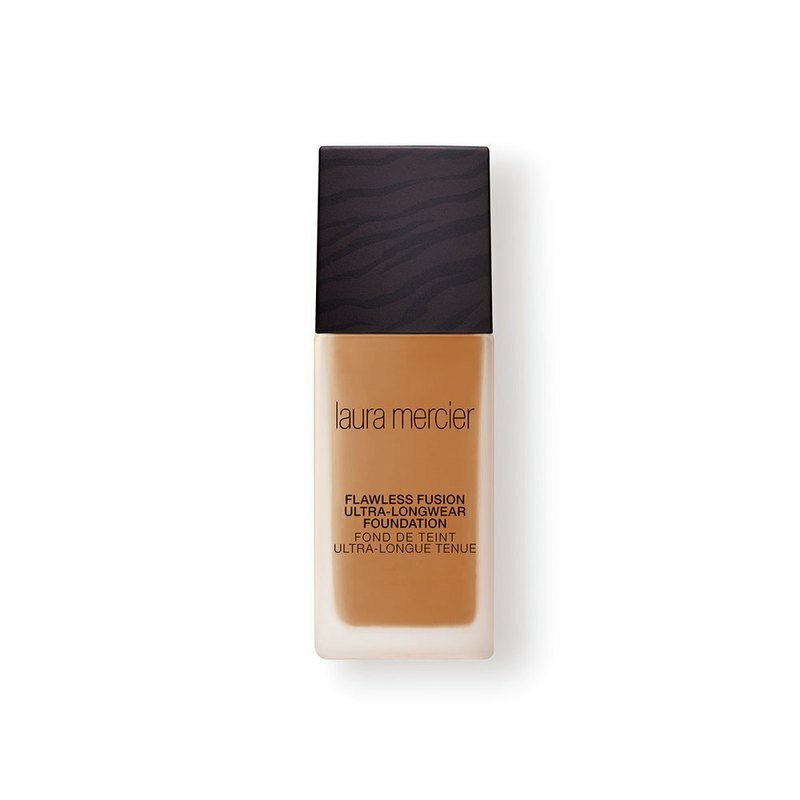 For best results, use after your preferred Laura Mercier Foundation Primer. Pro Tip: For the most flawless, natural look, Laura says it's key to avoid over-applying foundation to the middle of the face—where too much formula can accentuate lines and other imperfections. With liquid, crème, or powder, she recommends starting at the outer portion of the face and working inward towards the nose. Focus on one area at a time and be sure to blend well. Avoid excess application around eyes or the contours of the face. Repeat application until desired coverage is achieved. Remember, use Foundation.